Russia rejected criticism today that it illegally assisted the former government contractor charged with exposing secret U.S. surveillance program, the Washington Post reports. 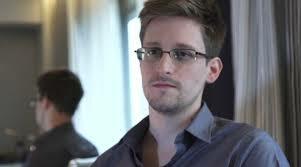 Edward Snowden, 30, was expected to board a flight from Russia to Cuba but never did. Secretary of State John F. Kerry said the Moscow has an obligation to help. But Russian officials said they have no jurisdiction over Snowden because he’s inside a security transit zone at an airport that is controlled by foreign diplomats. Posted: 6/25/13 at 9:03 AM under News Story.